Spring is here and the garden beckons. Perhaps you have decided that this is the year you will have the perfect lawn and flowerbeds. Maybe you will add a winding walkway lined with non-stop color and ever-present blossoms in magnificent colors, blooming all summer long. Either way, it helps to know how to get non-stop color in your Maryland garden so your yard looks brilliant all season! If you’d like some help, we can make those dreams come true. But even if you want to go it alone, it is time to start planting now for long-lasting summer blooms. While bountiful bursts of color come from annual and perennial flowers, you are not limited to those. Consider a shrub border, repeating shrubs for consistency in design. Ask us anything you'd like and we'll help your gardening dreams come true. Comment below or send us an email. The good news is, our location here in DC and Bethesda ranges from USDA Plant Hardiness Zones 7a to 6b, one of these easiest areas in which to plant and grow. Plant selections for this zone seem unlimited. Sun or shade, too much or too little? Allow us to help you choose the perfect plant for your yard with summer-long color. The Chinese Buttonbush, the Smokebush and Spirea are all unusual shrubs which grow well in our area. 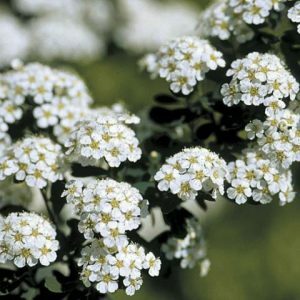 In fact, check out Fine Gardening’s list of the Top 10 Shrubs for Summer Color for a longer list. While not rare or hard to find, they are not likely to be growing in everyone else’s yard. Shrubs offer different colors, forms and blooms and are often particularly vibrant into autumn. Shrubs also offer shade for some of those colorful flowers you might want to include in your design. 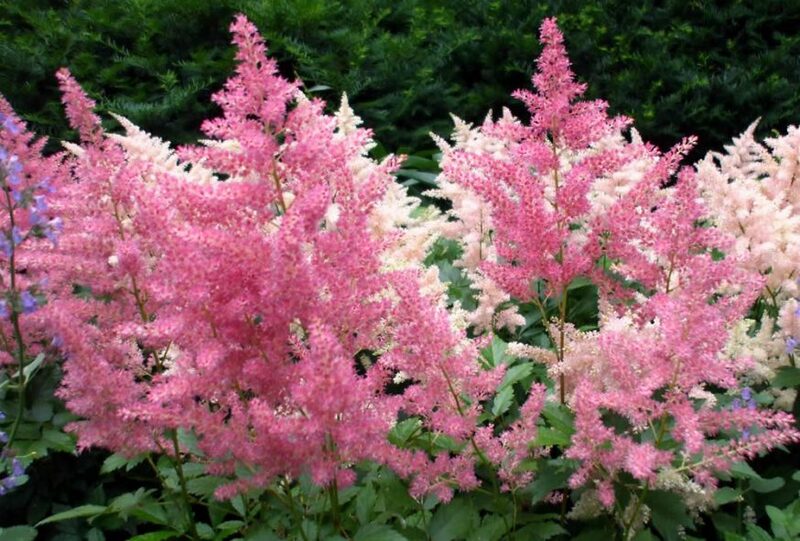 Astilbe blooms profusely in most partially shaded areas, as do Rose Balsam (Impatiens) and Spiderwort. Choose your blooming bush and plant underneath to maximize your space and get the most blooms for the area. Remove faded flowers to encourage the growth of new ones for non-stop color in the landscape. Does your yard contain large sunny spots that are begging for blossoms? Look to Shasta Daisy, Thick-Leaved Tickseed, and Coneflower. Add a focal point in the center with a Blue Mist Shrub. The possibilities are endless for blooms all summer long in our area. Contact us for help with your design, planting and maintenance. We will organize and plan for the long-lasting colors of your dreams. We can even add that winding garden path into a professional Landscape Design.